What Canadians need to know about exploding e-cigarettes. It is true that there have been several cases of exploding e-cigarettes across Canada, and as the article below says, about 25 cases over the last 7 years in the US. There is a significant shift in the vaping marketplace that is a major factor in this situation, such as larger sub ohm batteries with huge wattage and voltage. This combined with the new trend to ‘build your own atomizers’, where vapers build their own coils and wicks. These two situations can lead to an increased risk of ‘user error’ that may result in overheating and even exploding batteries. If poor quality unregulated ‘knock off’ batteries are used in these high power devices, and these devices are used at a high wattage, with ‘user built coils’ the likelihood of failure goes up significantly. It is very important for all vapers to use only recommended batteries from reputable vape shops, and not purchase cheap knock off batteries. It is essential to choose only to buy from HIGHLY REGULATED manufacturers such as Joyetech, Aspire, Kanger, to name a few. These companies adhere to strict safety regulations and their batteries have a host of safety features including, auto-shutoff in the event there is an issue with the battery voltage. Customer’s can also choose to only use batteries manufactured by reliable companies (our 18650 batteries are made by quality manufacturers like Sony, LG, Samsung and Panasonic). 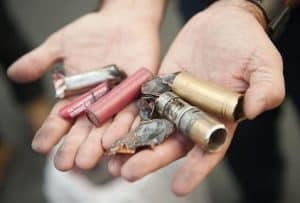 At the end of the day, with lithium ion batteries (used in cell phones, laptops, tablets, and e-cigarettes alike) there is always a tiny risk of overheating and explosion. This is the case with all of the electronics we use every day. If we as intelligent consumers choose to follow the safety directions of the vaping products, and purchase only genuine name brand products, it will virtually eliminate any danger of exploding e-cigarettes in the marketplace. The case of an Alberta teen who claims an e-cigarette exploded in his face is raising new questions surrounding regulations on a product that’s grown from a niche market to the mainstream. The father of the 16-year-old Lethbridge teen told Global News his son suffered first and second-degree burns as a result of the explosion. While explosions or fires from e-cigarettes are extremely rare they are not unheard of. and 2014, injuring nine people. Of those injuries two people suffered serious burns. In Canada, the issue of who is in charge of regulating the growing use of e-cigarettes has been a challenge for the federal government, says David Hammond, a professor in the school of public health at the University of Waterloo. The USFA report also found that many e-cigarettes come with USB ports for connecting the device to a power adapter provided by the e-cigarette manufacturer. “Plugging an e-cigarette into a USB port or power adapter not supplied by the manufacturer may subject the battery to higher current than is safe, leading to thermal runaway that results in an explosion and/or fire,” the report read. E-cigarettes have been touted as a less dangerous alternative for regular smokers trying to kick the habit. The battery-powered devices use a liquid to produce vapour, which is then inhaled. Some of the liquids are infused with nicotine, some aren’t. Health Canada says on its website that e-cigarettes that are sold with e-juice containing nicotine, or which make health claims, fall under the Food and Drug Act, a law that requires Health Canada’s approval to import, advertise or sell the products. “No electronic smoking product has yet been authorized for sale in Canada,” according to Health Canada. But Hammond says there’s a caveat to that. “If products don’t contain nicotine and they don’t make any sort of health claim about quitting then they can just be sold,” he said. Instead the responsibility of regulating e-cigarettes has fallen to provincial governments, which means differences from province-to-province. In Alberta, while there is currently no provincial legislation regarding the sale of e-cigarettes, several city councils, including Edmonton and Calgary, have passed bylaws to ban smoking e-cigarettes, or vaping, anywhere cigarette smoke is not allowed. Last May, Nova Scotia became the first province to pass legislation treating e-cigarettes the same way as regular cigarettes including banning electronic cigarettes in indoor public spaces, barring anyone under the age of 19 from purchasing e-cigarettes, and prohibiting the display of e-cigarettes visible to minors. British Columbia, New Brunswick, and Quebec have all passed similar legislation and other municipalities have limited e-cigarette use in public spaces (Vancouver) or municipal offices (Toronto). Ontario has passed legislation banning the sale cigarettes to minors under the age of 19 that went into effect Jan. 1. The Liberal government, however, delayed plans to ban vaping and the use of electronic cigarettes in public places. The products have not only posed a challenge in terms of regulation but are also divisive amongst anti-tobacco advocates as some believe e-cigarettes perpetuate nicotine addiction, lead to smoking among teens and undermine smoking bans. David Sweanor, an adjunct professor of law at the University of Ottawa, has spent 30 years as a public health advocate and sees e-cigs as an alternative to cigarettes. Sweanor says there is “no question” that e-cigarettes can be a helpful smoking aide. Hammond says the issues with e-cigarette regulation will continue to be contentious. A statement to Global News from a Health Canada official pointed out the organization is currently investigating the issue. Is it safe and legal to smoke an e-cigarette with kids in the car?